doing--and whether it's friendly. It is, however, absolutely hysterical to watch. oh my gosh. Is this in your backyard? They are so cute! Silly Heather...that's not leap frog. 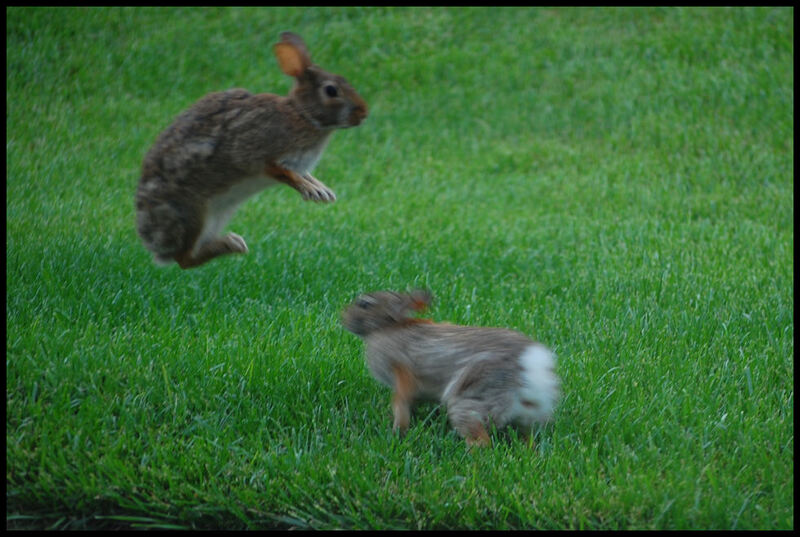 They're doing the Bunny Hop. It's a very well known dance that started in the 50's. And, really, what else would dancing bunnies be doing? That is so cute. I like that the pictures flow from one another. So cute. They would be great to watch on video. Too cute! I bet their antics were hillarious to watch. Seriously...is your spam spamming me??????? 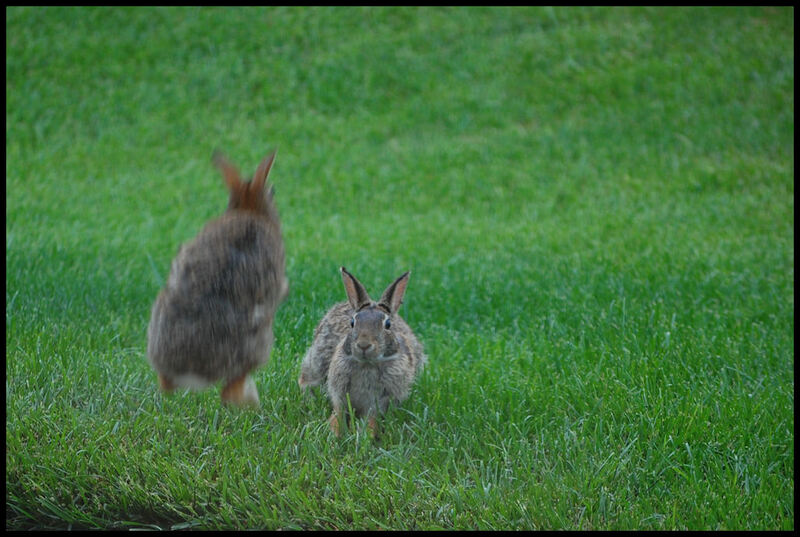 I love watching the bunnies. We are always finding little bunny holes with several babies. Or my dog finds them. He doesn't hurt them, he thinks he's their father! Tonya, not sure what's going on with your comments! Awww on your dog. 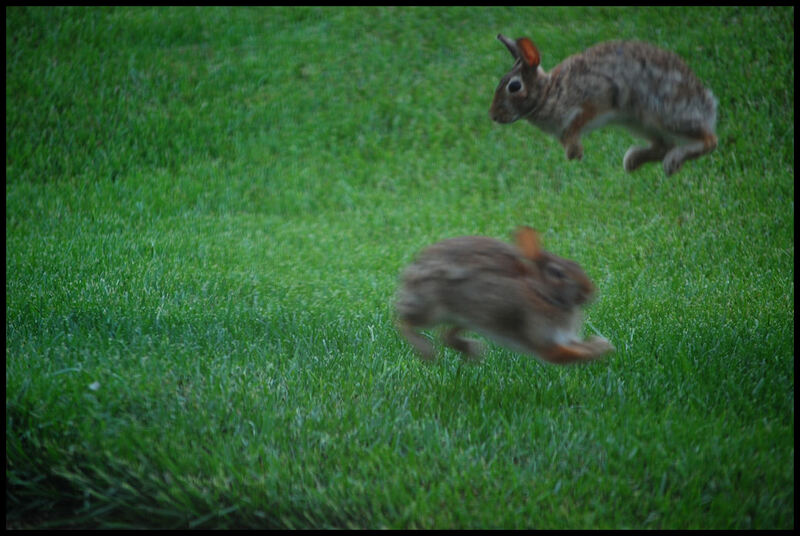 My daughter does have some grainy video of the rabbits, taken with her cell phone, but we've yet to learn how to get the videos off the cell phone. LOL. And LOL, Linda on the bunny hop!